There was a time when the pen was certainly mightier than the keyboard, but by whatever means you now communicate the written word, the impact on wrists and hands can take its toll. At a time when we all seem chained to our keyboards, an article on holding pens and pencils might seem incongruous. But the written word is not dead and there are many people out there who find that their ability to perform such apparently simple tasks is limited. And it is not always older patients who derive benefit from treatment. 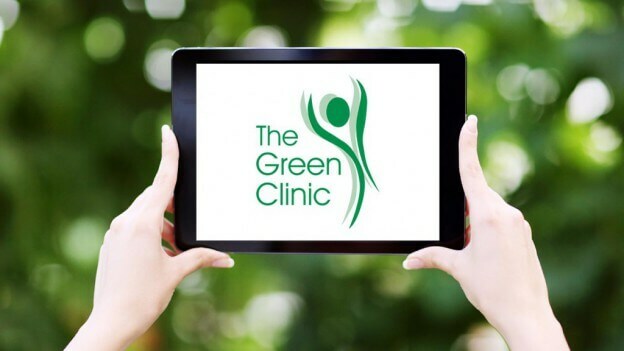 At The Green Clinic, we provide physiotherapy for those with weak hands or wrists at both ends of the age spectrum. We have significant expertise in treating hypermobility in children. It is a very common, yet an often undiagnosed condition which can cause a child pain and so problems in holding pens and pencils for prolonged periods. This will limit the time they are able to write or draw for. Teachers can be great, eager to please the parent, help the child and willing to go beyond their usual remit. At first! Their time is at a premium and so all the classroom assistants in the country may not be able to help them dedicate the additional time required by a hypermobile child to enable them to express themselves aesthetically and effectively in the written word. It’s all very well giving the child some therapy putty to strengthen their hands (like playdough, just more elastic), but the effect will be limited if there is no organised muscle strengthening programme in place to increase endurance and effectiveness. This should and go hand in hand with a with reinforcement of good practice general strength and posture, or the result will be shortlived and the need to maintain a close watch on the child will be ongoing. This all, of course, also has an impact on a child’s mental wellbeing. The treatment programmes we follow enable our young patients to overcome these weaknesses, and as their pain diminishes, their negative thoughts subside. The time taken to properly assess your child, to help you to understand the diagnosis and treatment, is time well spent. Hypermobility and weakness in the hand makes holding and moving the pencil tiring and less efficient than usual. The child needs activities to strengthen hands and improve endurance, as well as to master the finger actions for handwriting. Depending on the degree of joint mobility and the weakness in the muscles there are a variety of adaptations a child can make to compensate for the muscle weakness in the hand when holding a pen. But they have to be good ones, that will stay with them for a lifetime. Through play and tailored exercises for strengthening, establishing a steady grip and co-ordination, we’ll assist your child in their development to ensure that writing will be less of a chore and more of an art form. Our Edgware clinic is easily accessible from Mill Hill or Stanmore. Our Shenley clinic is easily accessible from Radlett, Borehamwood and Elstree.